Tecumseh Products (TECUA) is a Michigan-based manufacturer of compressors for a variety of applications, including air conditioners, freezers and refrigerators. The stock has taken a pounding since the recession, having fallen more than 70% from its 2008 peak. Tecumseh trades for less than half of the company's tangible book value. A company trading at such a hefty discount to book value is usually in deep trouble, but Tecumseh has zero net debt. The company's problem, however, is its profitability, as Tecumseh has operating losses in each of its last three fiscal years. But as we've discussed before, earnings and cash flow can be very different at times, and that may be the case here. The company spends tens of millions less in capital expenditures than it books in depreciation. If it is able to continue on its current course, Tecumseh could actually generate several million dollars of free cash flow in the current quarter. But counting on continued under-investment (relative to depreciation levels) may be a dangerous assumption. The industry in which Tecumseh operates is capital-intensive, and should require relatively large investments in equipment. Of course, it is possible that the company is systematically over-conservative in determining its depreciation rates, but it is also possible that the company will require large future investments to make up for current under-investment. On this subject, the company does offer some information. It expects capex to average between $20-$25 million in the future, which is nearly double what it is now, but still way below (as in almost half of) historical depreciation rates. While lower investment rates do increase free cash flow, they could also result in a drop of the company's competitiveness. The companies that are willing to invest could come up with products that are better and more efficient than are Tecumseh's. Tecumseh's two largest competitors (Danfoss and Copeland) are private, so not much info can be gleaned of their levels of investment; but Danfoss does appear to have a technological edge, having made the world's first oil-free compressors (which are thus 33% more energy efficient than standard compressors) for the HVACR industry. Tecumseh is clearly cheap, but is it generating free cash flow at the risk of its future competitiveness? Only if this company falls within the value investor's circle of competence can he answer this question. Otherwise, he risks buying into a situation that may get worse rather than better. Last week, we looked at a company where it appeared that the founder's descendant was destroying the value of the company's remarkable collection of assets. Unfortunately, this type of occurrence is all too common among firms where management succession is chosen based on blood rather than merit. Books-A-Million (BAMM) is a retailer of books in the Southeastern United States. As use of e-readers and e-books continues to increase, bricks and mortar book retailers have seen plunging sales and profits. As such, the share prices of even profitable book retailers like Books-A-Million have been pushed to extremely low levels. After reporting annual results last week, BAMM traded for just $70 million and has net debt of $20 million for an enterprise value of $90 million. But the company generates about $30 million in cash from operations per year! Even though this is a declining business, the price is so low that investors should make out like bandits if this rather steady cash flow stream is allocated back to shareholders. But that's a big if, as a closer look at the company suggests that management has no intention of turning this company into a cash cow. Instead, the company continues to invest in its operations (for example, capex out-paces depreciation as the company has continued to open new stores this year), putting that money at risk. Furthermore, instead of an orderly liquidation (as leases expire) of under-performing assets, the company appears to be trying to transform itself to stay relevant to customers. Since book sales are down, the company is allocating more space to toys, games and electronic accessories. Value investors would probably rather have the cash. This situation is unlikely to change. The Anderson family controls the company as they own more than half of the outstanding shares. They likely have a strong attachment to the business (started by Clyde W. Anderson as a news stand in 1917!) that they consider more important than maximizing shareholder value. In addition, the family has a number of financial dealings with the company that give the family incentives to grow rather than shrink the business. For example, the company buys more than $20 million of goods annually from a supplier owned by the Andersons. Furthermore, the Andersons lease a number of buildings (including the company's executive offices) to the company. Despite the tone of this post, in no way am I suggesting that the plan to keep growing this business isn't going to work. It very well may, and the Andersons have run the company well enough such that they have earned the right (based on the company's relatively strong financial position, especially compared to its peers) to give it a shot. But in a declining business, it is risky to keep investing in the business, and value investors don't like risk. If management was furiously buying back this company's shares, this would be a low risk situation with "value" written all over it. But based on the anticipated intentions of management, this is a situation that value investors may want to avoid. Recessions seem to unearth a great number of financial frauds. But by then it is usually too late, as investors end up losing most if not all of their money. 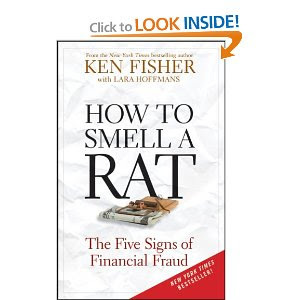 In this book, value investor Ken Fisher (son of Philip Fisher, whom Warren Buffett cites as someone from whom he learned a great deal about investing) describes five ways ordinary investors can protect themselves from being duped by a fraudulent money manager. Therefore, fraudsters literally can't afford to report down years, so their track records will always look consistent. But Fisher argues that real money managers have returns that are highly inconsistent, even the great ones. All managers have a few flop years, where they badly underperform either absolutely or relative to the market. But only the honest ones will show it; a Ponzi schemer will have no such blemish on his record. 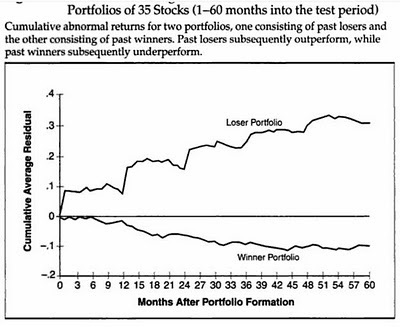 Fisher advises that investors look at a manager's past performance and ask for the fund's benchmark. Look for some correlation between returns of the fund and those of the benchmark, and if there isn't any, be afraid! At best, the fund isn't even employing the strategy it is marketing to you, and at worst the numbers are totally made up. Also, look for the years where the fund underperformed, and ask the manager what happened in those years and what he learned from them. Only if the explanation is reasonable and makes sense within the context of the fund's strategy should the investor proceed. In 100% of fraud scams, the money manager has custody of the investor's assets. Therefore, to avoid getting scammed, Fisher's first and most important rule is that investors ensure separation between the decision-making and the custody of the assets. This is done by placing the assets with a large, third-party institution and setting up the account such that the manager only has rights to buy and sell on your behalf i.e. he cannot withdraw funds. Of course, this does preclude investors from buying into hedge funds or other similar structures, where investor capital is pooled as part of the fund's structure. Furthermore, it doesn't ensure that a loss of capital cannot occur; the adviser can simply make bad decisions on your behalf. However, the chances that he can make off with your money is almost nil, as long as your custodian is beyond reproach. To get the most out of the possibilities offered by value investing, investors should be prepared to buy outside of their home countries. For example, recent turmoil in the Middle East and a natural disaster in Japan have caused the prices of some securities to fall undeservedly from the viewpoint of the long-term investor. But a major concern of international investors is currency risk. Long-term value investors situated in developed countries, however, shouldn't worry about it. In the short-term, the demand for one currency over another can fluctuate as a result of numerous factors, including interest rate differentials, inflation expectations, and economic growth expectations. Currency speculators also seek to predict these and other factors, resulting in rather unpredictable demand shifts for various currencies over short periods of time. Consider how this has played out historically by considering a comparison between the US and the Canadian dollars. These two countries are open to trade and are capitalist societies. In 1948 (which is as far back as this table goes), one US dollar got you 1.003 Canadian dollars. Today, one US dollar gets you .99 Canadian dollars, for a difference of 1% over 50 years. Yes, over shorter time periods there have been wild swings in the exchanges rates. But over the course of your investing lifetime, the impact of these swings should be muted. As an example, consider an investor whose investing career is 40 years long. Even a sharp currency adjustment of 50% over this period translates to only about 1% per year. To hedge a currency position for just one year, you would often pay transaction costs that are higher than this! Clearly, the selection of the right securities over time is worth far more than the currency movements, for those with a long-term perspective. Of course, implicit in this argument is an assumption that the two countries will remain capitalist. Unfortunately, this line of thought breaks down when developing country currencies are involved. The productivity of developing countries is lower than that of developed countries. For this reason, one may expect the currencies of developing countries to appreciate over time as they play catch-up (by adopting some of the processes developed countries already practice). On the other hand, the catch-up process is not without risk, as developing countries are more prone to events that can result in economic catastrophe and/or inflation (which results in a depreciation of currency). Depending on the long-term investor's goals and outlook, he may prefer a hedging strategy when there is such uncertainty. But when dealing with developed economies where one expects capitalistic and free-trade policies to continue, the costs of hedging appear to outweigh any adverse results that may occur from currency effects. The Brandes Institute takes a closer statistical look at the subject here. Consider how high profit margins were in 2010! Should we assume they can stay or even rise from these levels? Probably not. Profit margins have been mean-reverting in the past, and there doesn't appear to be a reason to believe they won't be in the future. Therefore, unless sales really take off, it seems improbable that earnings can grow at a reasonable clip in the coming couple of years; they may even fall. Dell (DELL) has seen its share of problems over the last several years. Margins declined steadily from 2005 onward (probably not coincidentally, in 2004 new management took over from the company's founder, Michael Dell) as competitors chipped away at the company's moat. But today Dell is a transformed company. Michael Dell is back at the helm, and margins have started to tick upward. However, the stock price remains at a level that would suggest a company in decline. Dell currently trades at a P/E of 11 despite a cash balance of $14.3 billion (as of the last reporting date) that is more than half of the company's market cap. But much of this cash is stuck in international subsidiaries, and would require large repatriation taxes (though that may soon change) to use back home. Therefore, the company also carries $6 billion of debt, and plans to issue even more debt shortly. All of this adds up to a net cash position (including long-term investments, but net of acquisitions that occurred after the last reporting date) of $7.5 billion. Subtracting this net cash position from the company's market cap gives Dell a P/E of just 8. This valuation might make sense if Dell were still a consumer PC company where competition is fierce and margins are thin. But this isn't your older sibling's Dell; last fiscal year, only $65 million of Dell's operating income of $3.4 billion came from the consumer segment. Dell now makes the bulk of its profits by selling a wide range of solutions (from storage and servers to services) to large and small business and government customers. And Dell expects its successful initiatives in this area to continue into 2012, where the company is predicting operating income growth between 6% and 12%. How confident is Michael Dell that the company is on the right track? Confident enough that he has purchased about $150 million worth of stock in just the last week. The road to riches for this company is not without risk, however. Dell likely won't be buying back a ton of shares, instead deploying much of its free cash flow towards acquiring firms with highly specialized technological know-how that Dell hopes to integrate into its product/service offerings. But the good news for investors is that the CEO is a business genius, and has a significant portion of his wealth invested in the company. Paying for future growth goes against the value investing mantra. But at Dell's current price, investors don't have to. If Michael Dell can find future success with this business that is only a fraction of the past success he has had with it, shareholders at this price will reap great rewards. Ecology and Environment (EEI) provides consulting services to customers looking for green-friendly solutions. Revenue has been ramping up as of late, as the world becomes more eco-friendly and searches for "sustainable"-type solutions: revenues in 2010 were about 40% higher than revenues in 2007. But while the company's operating income over the last 12 months is over $13 million, this growing company trades for $80 million despite a net cash balance of $15 million. To some extent, the downside is protected here. Because of the nature of this business, whereby the company bills its consultants out at a higher rate than what it pays them, it would take severe mismanagement for the company to lose money. Consultants with advanced degrees do not have the kind of job security enjoyed by government unions, for example; if demand for EEI's services tanks, the company should be able to easily cut its staff to a level commensurate with revenues. This concept was applied similarly about four months ago to a company by the name of TSR, where downside risk was deemed limited; the results were excellent. But in this case, there is no discount to book value, and therefore the downside is not protected completely. For shareholders to be fully protected, the company will have to keep earning a decent amount, and that's far from guaranteed. The company derives about 1/3 of its revenue from US governments, including two federal contracts that will expire in the coming years. If these are not renewed or replaced by other projects, revenues and earnings are likely to suffer. In addition, when valuing this company, it's important to consider more than just its operating income. This is because the company has consolidated entities which it does not fully own, meaning some of the profits are siphoned away to minority interests. Last quarter, these interests grabbed about one quarter of the company's after-tax income. Factoring in these interests can result in a much less appealing estimate of intrinsic value! For those looking for more on this company, Ecology and Environment has also been recently discussed over at Frankly Speaking. In this final chapter of the book, Greenblatt brings up some final points that are essential to being a successful investor. First, investors must enjoy not just positive results, but also the journey and challenge associated with finding undervalued securities. If you don't enjoy investing, a passive investment approach is probably more suitable. Temperament is also important. If you're the type to sell your investments in a market panic, this type of investing is not for you. You must be patient and more confident in your own skills as an investor than in those of Mr. Market. Greenblatt also notes a special characteristic about the investment situations he has described in the book. Many of them will not trade with the market, because they are special situations. As such, Greenblatt argues that even if the market falls or stays flat over a long period of time (e.g. as they did from the late 1960's to the early 1980's), investors using these strategies should still do well. Now that Greenblatt has provided readers with the types of opportunities in which they should invest, he now discusses how investors can find these opportunities. The first and most important step is to read the business news. Greenblatt recommends the Wall Street Journal in particular, but notes that all business sections of any newspaper are useful. While millions of other investors are doing the same, they are not interested in the same things as readers of this book. Greenblatt also recommends that readers subscribe to a few newsletters. There are newsletters that cater to turn-arounds and special situations. Furthermore, investors can check out the holdings of various value managers by reading their prospectuses and checking out their filings. These starting points will provide a plethora of ideas; but investors must investigate and only focus on the best ones that they can understand. On that note, Greenblatt goes on to discuss how investors can fully investigate ideas once they have identified them. He discusses some of the important SEC filings that investors must go through. He also discusses the difference between net income and cash flow and when investors should use one and not the other. Tim McElvaine is a value investor based out of Vancouver (incidentally, that's where I am based as well) who manages about $300 million. Recently, he spoke at the Richard Ivey School of Business (incidentally, that's where I graduated from) to a keen group of students studying value investing. Many of the topics he covered are of interest to readers of this blog, based on the e-mails I receive from you guys. I often don't know the answer to many of the questions you ask (such as "When should I sell a stock?" or "What percentage of my portfolio should I allocate to a position?") but McElvaine adds some interesting thoughts to these and other topics. - The strong effect that position sizes have on returns; you can have a good batting average and still perform poorly depending on position sizes. You can watch the talk here, but if you're short on time, you may want to re-visit later as it is over an hour long. Disclosure: Despite the above-listed "incidentals", I have no affiliation with McElvaine Investment Management, and nor do I know Tim McElvaine, or any member of his firm, personally. In his book (summarized here), Mohnish Pabrai describes the investment philosophy of value investors as follows: "Heads I win, Tails I don't lose much." Recognizing that it is very difficult to predict the future, value investors look for situations such that even if things don't go so well, the downside is protected. Pabrai's favourite example illustrating this technique is the motel owner/operator model. If a motel owner finds himself one day unable to generate profits, at least he can sell the land, since that has likely appreciated in value. On the surface, an investment in Syms (SYMS) appears to have similar benefits. Syms is an off-price retailer throughout the United States. Throughout much of its 50+ year history, the company's strategy was to outright own the real estate on which it operated its stores. As a result, even though the company's operations have been rather poor of late, the company sits on a pile of valuable real estate that appears to far eclipse the company's market cap. Syms trades at almost a 50% discount to its book value, which in turn understates the company's real estate by a significant amount, since land is carried at cost and buildings are depreciated on the balance sheet. With this in mind, some minority investors have actually asked the company to get its properties appraised and made public. (We discussed a recent example here where a company is actually doing just that.) To that end, there is a great rundown and estimation of Syms' properties over at Ragnar is a Pirate. Don't be fooled by the site's title; you are still privy to the investing gold available on that site even if your name isn't Hank Rearden. But there are impediments that can prevent shareholders from ever seeing a gain. First, the company is majority owned and controlled by its CEO, Marcy Syms. Normally, this is not such a bad thing. Indeed, if management is financially motivated by its interest in the firm, this can actually be a really good thing. But when management sees the benefits of running the firm as more important than maximizing shareholder value, it can be trouble. Syms is the daughter of the company's founder, and has so far rebuffed attempts by minority shareholders to realize value via the company's real estate holdings. In a rather sharp-tongued letter to the minority activists, she writes that "Syms Corp operates a chain of off-price retail stores. It is not a real estate development company, and will not become one, no matter how much you wish it were otherwise." But frankly, the retail operations stink. While other off-price retailers continue to show positive comps, Syms blames the economy for double-digit same-store sales declines. The company's returns on capital weren't amazing even during the strong economic period a few years ago, and this is despite the advantage of having selling locations with understated values on the balance sheet. Despite this, capital expenditures consistently out-pace depreciation, and that trend has continued so far this year; capex in the first nine months has been 40% higher than depreciation. This suggests that either depreciation expenses are underestimated, or management continues to allocate capital towards trying to grow the company, which is the exact opposite of what a poorly performing company should do. Neither scenario is good news for shareholders, as good money is being thrown after bad, causing the company's cash flow to be poor. Syms has shown a willingness to shutter and sell the real estate of a couple of stores, but only when absolutely necessary. The cash generated from such sales has been used to finance the company's losses. If this mode of operation continues, investors looking to profit from the real estate values will continue to see value erosion. In the latest real estate sale, the company actually plans to lease the property back from the new owner! Therefore, the sale likely took place only to fund the company's cash outflows. But perhaps this behaviour shouldn't be surprising. CEO Marcy Syms has written a book titled Mind Your Own Business and Keep It in the Family where she argues that the family's job is "to keep the business healthy for the generations to come." and that "the business of a family business is perpetuating itself." Those don't sound like the words of someone interested in realizing shareholder value. Ironically, by doing whatever it takes to keep the business running as is, she appears to be putting the company's future at risk. At this point, it is unclear if she will cease growing the business into the ground before the company's valuable assets are completely eroded. It's important to remember that what a company is worth is not based on its future earnings, but rather its future cash flow. Earnings are often a decent, smoothed-out version of cash flow, and therefore valuations based on estimates of earnings are usually the way to go, but not always. With that in mind, consider Genesis Land Development Corp (GDC), a real-estate development company with operations in Calgary. Earnings for this company will be choppy; some quarters it will unload big chunks of land, others it will lose money as it services land for future development. So trying to take past earnings and extrapolate what future earnings might look like is likely to lead an investor down the wrong road. On the other hand, the future cash flows to this company might best be estimated by the property values of its land holdings. As the company sells down its land holdings (for the purposes of paying down debt, which has been the company's stated goal for many quarters), it is monetizing its assets and generating rather strong levels of cash flow (relative to enterprise value). Recognizing that investors may want to know the appraised values of its holdings, the company actually hired a third party to estimate the value of its land, for the second time this year. Last week, the report suggested that the firm's net assets are worth $8/share (even after accounting for hypothetical taxes), which was almost a 100% premium to the company's share price that day! Shares reacted by appreciating all of 3%, suggesting the market either doesn't buy the results, or doesn't think net asset value is important. Of course, such an assessment is rife with conflicts of interest. The third party firm is being paid by the company, and so to claim future business with the firm (rather than lose it), there is an implicit inducement to inflate the numbers a little bit. The good news for shareholders, however, is that this third party appraiser is not a one-man shop operating out of his parents' basement (not that there's anything wrong with that...I have nothing against my primary reader demographic!). Cushman & Wakefield is a global firm servicing 58 countries with 13,000 employees, so they are unlikely to toy with their reputation for a couple hundred grand (or whatever it is they got paid for this appraisal project). However, anything is possible; the fact that a third party has appraised the company does not mean shareholders should go in blindly. Nevertheless, the evidence here suggests there may be a wide disparity between what the company trades for and what the value of its land holdings appear to be. Some shareholders who choose to investigate further may feel that GDC shows minimal downside relative to upside potential. We spend a lot of time reading forecasts. The financial news media is rife with new articles every day that take a position on the near-term future of inflation, interest rates, and stock prices. But are these forecasts of any use? James Montier, an author on the topic of behavioural finance, says no. Note that the forecasts of the deflator actually lag the actual deflator! This forecast is telling you what happened, rather than what is about to happen! Of course, it should be noted that these forecasts are considered in the aggregate, whereas some forecasters may be able to consistently outperform others. However, there does appear to be a lack of supporting evidence that some forecasters are clearly superior. Sixth-century BC poet Lao Tzu remarked that "those who have knowledge don't predict" while "those who predict don't have knowledge". So if forecasts are so useless, why do we spend so much time making them and reading about them? 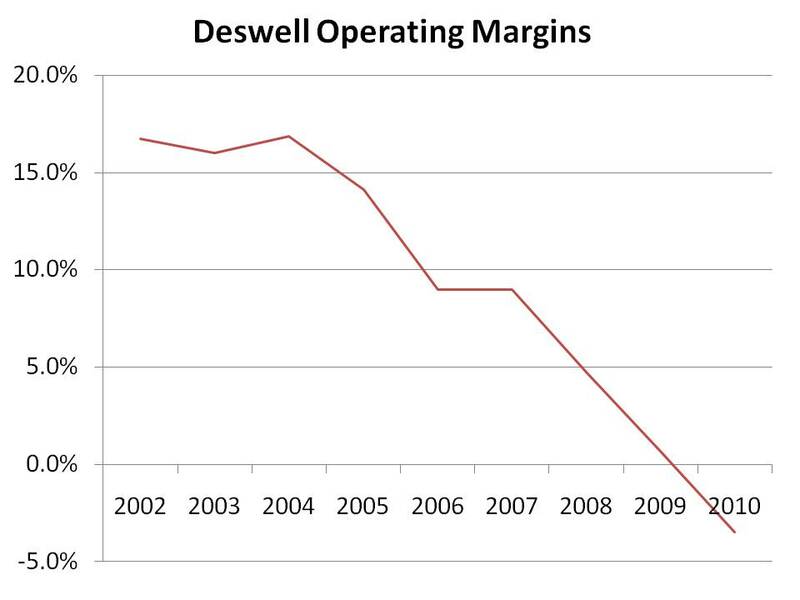 Deswell Industries (DSWL) manufactures plastic, metal and electronic components for equipment manufacturers. As one might expect, business has slowed as a result of the recession. Revenues fell almost 40% in 2010, but they have started to tick back up in recent quarters. Meanwhile, the stock price has fallen some 75% since its 2007 high. As a result, the company trades for just $55 million while it has a cash position of $33 million, zero debt and operating income of a combined $22 million in 2007 and 2008. In addition, the stock trades at a slight discount to the company's net current assets. Clearly, if earnings can return anywhere close to where they were before the recession, this investment should pay off handsomely. Often, value investors can make money by investing in cyclical companies when things look bleak. But to be successful in doing so, they must be able to distinguish between situations that are temporary (i.e. cyclical) versus those that are permanent (i.e. secular). Deswell presents a challenge in this regard due to a key factor. First, the company is located in China. Before you automatically close this window and return to stalking your cousin's friend on Facebook, consider that Deswell is not one of those newly arrived reverse-mergers that have put Chinese stocks in the doghouse. It has been around since 1993, and has been public in the US since 1995. The chart above shows that the company was having difficulty passing on cost increases (either through competition, inflation, or both) even before the recession. More recently, China raised its minimum wage by over 20%, which was cited by Deswell as one of the reasons for the gross margin contraction in its most recent quarter. Further inflation could send customers to other low-cost countries. 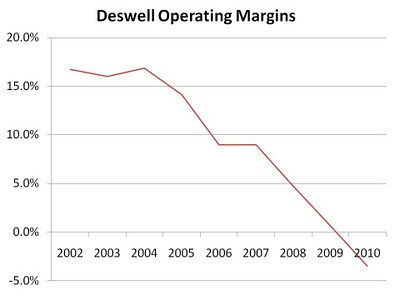 Deswell appears cheap on both an assets and earnings perspective. However, it's unclear what component of its current earnings shortfall is cyclical vs secular, making it difficult to determine the company's earnings power. If the company can keep capital expenditures as low as it has recently, however, it may still be cheap on a free cash flow basis when combined with its strong financial position. Greenblatt introduces yet another class of investments where he believes opportunity exists for value investors: recapitalizations. Companies with strong balance sheets will often borrow large amounts of money for the purpose of buying back shares. Sometimes, the debt is issued to the equity holders, who will often sell the securities (as they don't match the investor's mandate) to an attractive level. But Greenblatt argues that the real benefit is in the small equity portion that remains. For one thing, the company's financiers now get to keep a bigger part of the company's earnings, as interest payments are tax deductible. For many companies, debt also has a lower cost of capital, so the company's value also increases. For companies with increasing earnings, the added leverage also magnifies the gains to equity holders. Investors must be careful, however, as the added leverage also increases risk. Such transactions are difficult to find, however. Therefore, Greenblatt recommends a synthetic method to "manufacture" a recapitalization: using LEAPS. Greenblatt suggests long-term call options can often be a way to generate returns far superior to the risk taken, and this mimics what is possible during a company recapitalization. Often, investors can take advantage of market inefficiencies in how options are priced. The mainstream finance industry uses an option's underlying stock price's volatility to price the option. But sometimes, events in the future (e.g. a spin-off) can result in higher volatility than past price movements would imply. It is here than investors can profit, by buying calls where past volatility is not a good guide for future volatility. Some of the drawbacks of LEAPS in comparison to recapitalizations are the fact that the company does not gain tax benefits (unlike a debt issue), there are expiration dates to the options, and management is often not incentivized with shares as they often are in recapitalizations. In this chapter, Greenblatt discusses another area where he feels value investors can make money: bankruptcies and restructurings. To be clear, however, Greenblatt strongly advises against buying shares of companies that are going bankrupt; these shares are usually soon-to-be worthless, but often trade for positive values. Furthermore, Greenblatt also recommends against buying companies going through the bankruptcy process; vulture investors are usually all over this area, spending tons of time to estimate the values of the securities that will emerge from the uncertain litigation processes. Instead, Greenblatt argues that the opportunity for value investors is at the end of the bankruptcy process, where equity in the company is thrust upon the debt holders. Similar to the situation in spin-offs and merger securities (discussed in previous chapters), securities are being given to investors who don't want them. Banks and other bond holders aren't too interested in equity securities; as such, supply exceeds demand and these securities trade down following their issue. Investors must still pick their spots (by studying the value of the equity versus the price of the shares), but Greenblatt argues that this is a great place to find mis-priced securities. Corporate restructurings are another area where Greenblatt says opportunities are abound. Often, a company will have a profitable division and a money-losing division (or some combination thereof). By selling or closing the losing division, the company is able to increase profits without really improving anything. Investors who buy at the depressed price stand to benefit when the company has shed the unit(s) that were dragging down profits. Greenblatt also uses this opportunity to discuss the difficult decision of when to sell a security. He argues that investors should base this decision on the quality of the company. If the company is an also-ran in its industry, it should be sold when it trades at multiples similar to its peers. If, however, it is a strong company with solid returns, it should be held until it is clearly overvalued. When companies spend money on capital expenditures (as opposed to spending on operating expenses such as marketing, salaries, repairs etc. ), these amounts are ignored on the income statement. In other words, these capital investments are not subtracted from revenue to come up with the company's net profit, since these expenditures represent investments which may generate revenue (or losses) in the future. For understandable reasons, however, research and development (R&D) is classified as an expense under GAAP, even though the benefits (if any) of such R&D will occur in the future. How should the prudent investor treat such expenditures in determining a company's earnings power? As usual, the answer is: it depends. The question comes down to the nature of the R&D expense; is it really an investment that (if successful) would add to revenues in the future, or is it a necessary expense that is needed just to keep up with the competition and keep profits stable? In the former case, the R&D can be rightfully added back to the company's profits in determining the company's true earnings power. In the latter case, however, the "investment" acts more like a current expense: it is needed simply to keep the business running as it currently is. Unfortunately, distinguishing between these two types of R&D expenditures can be difficult for the outside investor looking in. For this reason, Philip Fisher recommends a technique he termed Scuttlebutt to help make this determination. An understanding of the company's industry is also useful in this regard. To illustrate, consider an example using two unlikely candidates for comparison, Electronic Arts (ERTS) and Coca-Cola (KO). EA competes in an industry with short product cycles, requiring companies to continually innovate and come up with successful new software titles, or suffer severe decreases in revenue. On the other hand, Coke's product set is rather stable, and therefore new R&D investments are likely spent on developing products that would add to the company's profits if successful. Coke's R&D spend would therefore be categorized as being similar to a capital expenditure, while EA's R&D spend would more likely be categorized as an expense the company cannot do without. Of course, rarely is the situation completely black and white. For example, EA does have some software franchises that keep customers returning year-after-year for new versions of popular titles. At the same time, some of Coke's R&D spend is likely spent on improving current products just to maintain consumer appeal in the face of constantly improving competitors. Determining which portion of R&D is 'maintenance' and which portion is an 'investment in the future' is a difficult task indeed. Only by understanding the business and industry can the investor make a somewhat accurate judgement as to the true earnings power of the company, by determining whether (or which part of) R&D expenditures are investments, or whether they are better classified as ongoing expenses. Nevertheless, such estimates are subject to substantial error due to the lack of information available to the investor; as such, when in doubt, investors are encouraged to remain conservative. Prior to the recession, a lot of reckless loans were made. And while a lot of loans that were secured against real estate lost a lot of value, they usually didn't become worthless. But sometimes the market treats them as such, much to the delight of value investors. For example, Quest Capital traded at a large discount to book value not long ago, and the value was eventually realized as the cash started rolling in. Today, a similar opportunity may exist with Vestin Realty Mortgage I (VRTA) and Vestin Realty Mortgage II (VRTB). It's worth looking at the companies together for several reasons. First, they have the same manager. Second, they are similar companies, often lending to the same entities. They also trade at similar discounts to book value, and for some reason they own shares of each other, in a Japanese-style cross-holding. And last but not least, it appears that they may soon merge in a stock for stock deal. Together, they have about $21 million in cash, $29 million of real estate held for sale, and real estate loans receivable of $37 million (for a total of $87 million) against liabilities of $15 million. But combined, these companies trade for just $28 million, representing a massive discount to book value. The large discount can likely largely be explained by the companies' record when it comes to loan losses. Book values have fallen by a combined $40 million (mostly as a result of write-offs) or so in the last year, suggesting the company was downright reckless with its loans prior to the recession. But loan losses appear to have decelerated significantly; last quarter, the companies combined for minimal write-downs, though they are still losing money. It is these consistent losses that may be the biggest risk to shareholders, because of management's incentive structure. The companies' CEO is also the owner of the companies' management company, which is bad news for shareholders. This structure encourages the CEO to keep the companies running (even at a loss) so that they can keep paying fees to the entity which he owns. To that end, the company has not been clear about what it plans to do with its substantial cash holdings and the cash that is generated from sales of its real estate that is held for sale. I did try to speak to management to get some clarification on this issue, but I was told to try again after the release of the 10-K.
We've seen situations in the past where companies such as this one have generated substantial returns for shareholders who invest at large discounts to book value. However, there are several differences here that make this far from an ideal example. The incentive structure, the particularly poor lending record, and the lack of candid communication about future actions should give investors pause despite the massive discount to book value. Noting that positive (negative) earnings surprises tend to be followed by more positive (negative) earnings surprises, economist Dr. Hersh Shefrin makes the point that this occurs because the investor/analyst tends to be overconfident, and furthermore fails to fully incorporate new information (i.e. he is "anchored" to his previous opinion). 1) The Dow Jones Price Index does not include the effects of dividend re-investment. If dividends had been considered re-invested in the index since its inception in 1896, at what price level would the index be at today? Provide a 90% confidence interval around your answer (i.e. you are 90% confident that your interval includes the right answer). 2) There are 100 bags, each containing 1000 poker chips. 45 bags have 700 black chips and 300 red chips, while 55 bags have 700 red chips and 300 black chips. If you select a bag, what is the probability that most of the chips are black? If you pulled out 12 chips from that bag, and 8 of them are black and 4 of them are read, now what is the probability that most of the chips in the bag are black? The answer to the first question is around 650,000, which lies far above the upper limit of the confidence interval of most subjects of whom this question is asked. If humans were well-calibrated, the number should have been inside the confidence interval of 90% of subjects. Instead, this experiment demonstrates that humans are over-confident, believing they know the answer (within a margin) when they don't, and believing they are more skilled than they are (e.g. 90% of car owners believe they are better-than-average drivers). The answer to the first part of the second question is 45%, which most people get. What people fail to do is incorporate the new information (namely, that 8 of the 12 chips pulled out are black) successfully to determine the new probability required in the second question. While most guesses are between 45% and 75%, the real answer is north of 96%! Shefrin argues that people aren't even close in their answers because humans tend to anchor themselves to their previous opinions, and are unable to objectively incorporate new information. This combination of overconfidence and anchoring leads to positive (and negative) surprises in earnings results that persist despite the presence of new information. This provides opportunities for investors who realize this bias and adjust for it. Needless to say, Shefrin is not one of those academics that believes in the Efficient Market Hypothesis. Patent trolls have a bad name in our society, but the principle behind their existence serves as the impetus for innovation. And to stay ahead of the competition, every successful company must put some emphasis on innovation. Some companies, such as Tessera Technologies (TSRA), put all of their emphasis on innovation. Of Tessera's 480 employees, 329 are in R&D, which is rather extraordinary. They are busy looking for ways to in which to make things more efficient, particularly in the area of the miniaturization of electronic components and systems. The applications for such technologies are large; for example, consider how important miniaturization is for the fast-growing smartphone and tablet space. But while the industries that Tessera caters to are growing swiftly, Tessera trades rather cheaply. The company's market cap is $885 million, despite a cash position of $475 million and earnings over the last four quarters of $57 million. Therefore, excluding the company's cash balance, it trades for a ttm P/E of just 7. For value investors, however, this is by no means an automatic buy. While the company's industry growth prospects and earnings yield appear strong, the risks to this company are many. The company is of course competing against the in-house design teams of a whole slew of electronic component manufacturers. How well they earn in the future will be based on whether they can deliver superior technologies to the companies looking to bring products to market; unless you understand this industry well, this company is not likely to fall within your circle of competence. "[W]e are currently involved in litigation involving some...key patents in the U.S. The parties in these legal actions have challenged the validity, scope, enforceability and ownership of key patents that we license to generate a substantial portion of our revenues..."
"A two-week hearing on the remaining issues is currently scheduled to begin on August 15, 2011...The Company cannot predict the outcome of this proceeding. An adverse decision in this proceeding could significantly harm the Company’s business and consolidated financial position, results of operations or cash flows." Tessera has high growth rates and is cheap on an earnings basis. However, for value investors that's not enough. Investors must understand the sustainability of those earnings in order to proceed, and that requires an understanding of the business. For those with a circle of competence in which this company falls, Tessera may prove to be a strong company at a very cheap price. Late last year, we looked at a situation that very much resembled a leveraged buyout opportunity in which ordinary investors could partake. Today, we look at an opportunity in another area that retail investors are usually blocked from: venture capital. But in keeping with the value mantra, there is one special characteristic of this investment that makes it appropriate for this site: the company trades at a large discount to its investments. Capital Southwest (CSWC) is a "venture capital investment company whose objective is to achieve capital appreciation through long-term investments in businesses believed to have favorable growth potential." But while the company trades for just $370 million, it has net assets of $514 million, giving investors the opportunity to participate in the equity of the underlying companies at a rather large discount. Of course, as with any investment, there are specific risks of which investors should be aware. Valuing companies with steady cash flows is hard enough (as proof, consider the wild stock market fluctuations from year to year of even the most stable of corporations), but valuing young, development stage companies is even harder. There is no public market for most of Capital Southwest's investments, and therefore it's hard to know the margin of error surrounding that $514 million number quoted above; it's entirely possible that there is no margin of safety, or conversely, that the margin of safety is much larger than we think! This company's investing policy also appears a bit mixed, as it doesn't really stick to its "venture" mantra. It also looks for companies with positive cash flow, which is rare in the venture capital space (hence the need for direct investment). As a result, Capital Southwest also owns a number of public companies, including Heely's, which has been discussed on this site as a potential value play. It's also possible that the company will trade for a discount to its investments eternally, or at least for a very long period of time. But shareholders should still benefit from the discount as long as net assets grow (which, of course, is far from guaranteed); if net assets grow 10% for example, then an investor who buys at a 50% discount sees a return of 20%. It should also be noted that Capital Southwest was trading without any discount as recently as mid-2008, which may help reassure those who fear the dreaded "eternal" discount. To protect ordinary investors from themselves, securities regulations make it very difficult for regular investors to invest in venture capital funds. But through public company Capital Southwest, ordinary investors can indeed participate in venture capital, and at a large discount to the approximated fair value of Capital Southwest's net assets. While spin-offs can lead to success (as discussed in the previous chapter), risk arbitrage is a loser's game, argues Greenblatt. Whereas investors used to be able to make money by buying stocks of companies with announced takeovers, that is no longer the case. Competition has reduced the spreads between current prices and the take-out prices, resulting in a lot more risk (as a result of financing falling through, buyers who change their minds, macro events etc.) than the rewards warrant. Greenblatt has had a few "sure-thing" lookalikes fall apart, and strongly advises against risk arbitrage. However, that doesn't mean Greenblatt thinks one can't make money from mergers; it just has to be done in a different way. Greenblatt advises readers to scrutinize special merger securities. These are securities that are often thrown into merger deals as "sweeteners" to top a bid or convince shareholders to sell, without actually requiring further financing. For example, a buyer may offer cash plus stock plus some combination of warrants, preferred stock or convertible debt to shareholders of the target. It is the warrants and other non-cash, non-stock securities that Greenblatt says often get overlooked. The idea behind this market inefficiency closely resembles that of the spin-off: shareholders receiving such merger securities often sell them, pushing their prices down in relation to their values. Like a spun-off company, merger securities are often not desired by receiving shareholders; for example, they often fall outside the mandates of the funds that receive them. As such, investors can purchase these (after having done the research on them, of course) after the merger has taken place, thereby avoiding the major risk: that the merger won't close. Greenblatt takes the reader through a few examples where he has been able to purchase discarded warrants and preferred shares for a discount, as they were sold by shareholders who received them as part of a merger transaction. In this chapter, Greenblatt explores the world of spin-offs. The first point he makes is that spin-offs themselves generate above-average returns for investors. There are many logical explanations for this phenomenon, including the fact that owners of the parent company don't often want the spin-off as it may not be in the right industry or may not be of a size consistent with the investment mandate. This causes a sell-off of the spun-off company, resulting in an abnormally reduced price. As a result, investors tilt the odds in their favour just by venturing into this area. With a little more work, investors can enhance even the already high returns that accrue to spin-offs by picking their spots, Greenblatt argues. He takes the reader through several examples of spin-off opportunities where prices appreciated strongly in subsequent periods due to market inefficiencies. There were several recurring themes in the examples. Greenblatt looks for spin-offs where insiders own a lot of the stock of the new companies. He argues that managers will set themselves up for big returns, and so potential shareholders should look to align themselves with managers when possible. Greenblatt also advises readers to look at the parent company of a spin-off as well. During partial spin-offs, for example, parent companies can trade at very low values relative to their ownership in the spun-off company. Where management has a significant portion of its net worth invested along with shareholders, agency costs are likely to be at a minimum. Shareholders can easily determine how invested management is in a company by looking in the same place that a company's executive compensation can be found. Unfortunately, the use of equity swaps, becoming more common in the financial world, can render the information on management's stake in the company essentially useless. Andre Preneur started a company from scratch, and recently took it public. His net worth is now several hundred million dollars, but all of his wealth is invested in just this one company, a risky portfolio no matter how strong the company. Andre has family commitments and wants to lock in some of these gains, however, as this undiversified portfolio could result in a significant loss of capital should something go wrong. Selling 20% of his holdings in order to diversify would drag down the stock price, hurting all investors in the process. But a swap in which he trades the returns on a portion of his holdings to a dealer that pays him the return on the S&P 500 (minus a fee) allows him to achieve some diversification without high transaction costs. Unfortunately, one loop hole that has not (yet?) been closed has to do with the fact that management may show ownership of a number of shares, but may have swapped the returns away. Shareholders wouldn't know unless they pieced together disclosures of insider sales, insider buys, restricted stock issuances, stock option issuances, and stock option exercises - and even then, these particular disclosures are not likely to form a complete picture of exactly how much a manager owns. In an extreme case, this could lead to a problematic situation where a manager has voting control, but suffers no consequences as a result of his actions (for he has swapped the returns away), while shareholders believe that the manager has a full stake in the company! Innovation in the banking and financial industry has benefited us all. Of course, if unchecked, things can go awry in a hurry, as evidenced by the bank-induced recession that took the world by storm two years ago. This doesn't mean innovation should be stifled; but it does mean investors and regulators must stay abreast of what's going on, and take corrective action when publicly disclosed information is unintentionally suppressed as a collateral result. Comtech Telecom (CMTL) provides telecommunication systems and services. The company trades for $785 million despite a net cash position of $400 million and operating income over the last four quarters of $130 million. This type of balance sheet strength and earnings power (relative to market value) is very inviting for value investors, but they should investigate further in order to be fully aware of what they're getting into. As value investors, we're conditioned to place a heavier emphasis on past, as opposed to forward, P/E ratios. Indeed, market research does suggest that future estimates can be way off base. Furthermore, it has been empirically demonstrated numerous times that a portfolio of low P/E stocks tends to outperform the market as a whole. Nevertheless, this is no excuse to wear blinders when it comes to estimating a company's future earnings. "...[S]ales to the U.S. Army are expected to decline in future quarters..."
This example also underscores the risk of investing in companies with heavy customer concentration; at the end of 2008, the company traded at $45/share while today it trades at just $28. Buying a company that's about to experience revenue losses isn't always a bad thing, however. A shrinking business can free up assets for shareholders, as seen with Nu Horizons. But for shareholders to profit, they are much better off buying at a large discount to book value. Doing so would allow shareholders to benefit from these freed up assets even if they are sold at a loss. In Comtech's case, however, the company trades at a premium to book value, so the company will actually have to generate half-decent returns on its assets in order for shareholders to make money over the long term. A portfolio of low P/E stocks will outperform the market. However, investors can do even better than a passive portfolio of this nature by weeding out the companies with the most risk. This requires additional effort and due diligence, but positions the investor for the kind of returns that a simple, passive portfolio based even on low P/E stocks can't provide. What a difference a couple of years makes! In 2009, as the market set low after low, investors were cautioned to be aware of companies with defined benefit pension plans. Since shareholders are on the hook for the pension obligations, any drop in pension plan assets (as a result of the market declines) should result in a drop to a company's valuation. Over the last little while, however, the opposite effect has taken place. As companies with fiscal years ending on December 31st will release their annual reports in the coming weeks, companies with defined benefit plans will likely see improved financial positions! Since pension asset values are only reported once a year, investors using 3rd quarter reports are likely underestimating the value of their companies under study. In other words, companies with defined benefit plans are likely worth more than investors are giving them credit for! As an example, consider Twin Disc (TWIN), a company that has been previously discussed as a potential value investment. In 2009, the value of the company's pension assets fell by $24 million, pushing the company to cease accruing pension benefits for employees. For a company with a market cap (at the time) of just $100 million, this change in the value of its pension assets is clearly material to the value of the stock. Unfortunately, estimating gains is not easy. While companies do disclose their planned asset allocations, determining the rise in values of private equity or real-estate investments is not an easy task. Furthermore, in the interests of conservatism, investors are cautioned from being overly optimistic when estimating returns. However, in cases where pension assets are material, recognition of this issue can help the investor improve the accuracy of his valuation.